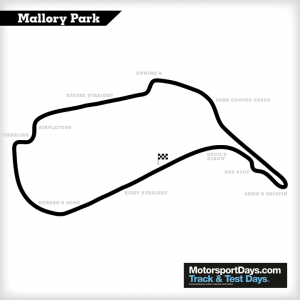 Mallory Park is known as the friendly circuit for good reason all the staff there are extremely helpful and the onsite cafe is superb. Built in 1956 the circuit still retains its original layout and although not the shortest circuit in the UK its lap times are one of the quickest. Situated in the Leicestershire countryside not too far from the M1 and M6, you are greeted on arrival by a large Lotus Badge and statues of Jim Clark and Colin Chapman, as well as Roger Clark, John Sutrees and Mike Hailwood. 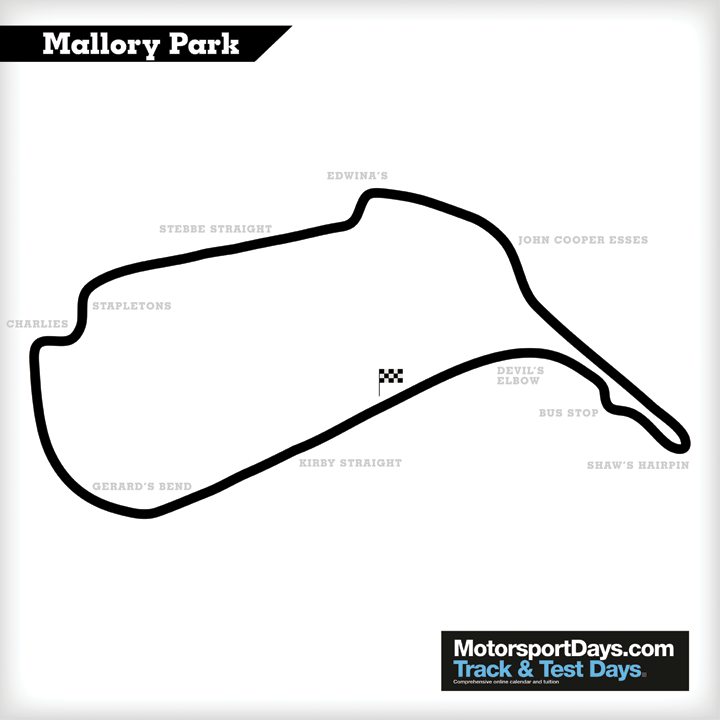 Well known for its great club and bike racing, the circuit layout used is unchanged for a number of years. Don’t be late as there is no paddock access for cars once the circuit is in use. If you are locked out then don’t despair as the natural surroundings make it possible to see the complete circuit from a number of viewing points. The circuit looks very simple on paper with only 5 corners making up the lap, but has possibly the most difficult corner in the UK. This makes the track no less challenging than elsewhere. Over the start finish line and a late turn into Gerrards. Initially you can see three seams in the tarmac that look like lanes on a motorway for the first part of the corner. Set the car up in the middle lane and gradually bring the car into an apex about a third of the way through the corner. Depending on your car, you will either prolong the apex till about two thirds through the corner, or let the car drift out to the middle of the road, and then back in to make a second apex two thirds through the corner. Once you have reached this point, the exit of the corner should be a lot more visible. You should look for the exit kerb where you should let the car out to meet the edge of the track at the end of the kerb. Be careful as there is a surface change here and a slight bump in the road. The straight leads to the Lake Esses. Your braking guide is the chicane for the bikes and your turn in is late, almost where the bike chicane rejoins. The turn is fast and it is important to get the car tight to the apex before you straighten the car out towards the exit kerb. Run to the left to make the exit as straight as possible from this kerb then let the car run out to the right for the uphill run towards Shaws. Picking a braking point is tricky but there is a crest in the road that will feel about right. The braking area is extremely bumpy! The turn is very late, and due to the unique kerbs at the apex, don’t attack the apex but give yourself a margin for error. Let the car run out to the kerb, but not onto it, on the exit as the cowpat kerb is very harsh. Space is limited but try to get the car back to the right hand side for the Devils Elbow. The corner is blind and takes a fair few laps to remember where it goes. The turn in should be around the 100 metre board and the apex quite late along the kerb. As the road falls away steeply be careful not to apply too much power too soon. It’s important that, on the exit, you let the car run right out keeping the wheel as straight as possible. It is worth remembering that the pit lane entry is actually at the back of the pits by leaving through the Lake Esses.